INDUSTRY.co.id - Ministry of Health (Kemenkes) in collaboration with Vital Strategic has launched a public service advertisement (ILM) with the theme of Smoking Cough. The cough of a smoker not only signifies the damage to the lungs, as well as the whole body. This ad is different than the previous smoking advertisement. This advertising message is more emphasized on the cough of someone who smokes at a beginner. "Certainly the theme of our smoker cough gives health understanding to the community, not only active smokers, but passive smokers also have problems, especially since young beginner smokers have started a lot," said Head of Communications and Public Service Bureau dr. Oscar Primadi in Jakarta, Tuesday (5/9/2017). On the same occasion, Director of Health Promotion and Community Empowerment Dr. Erni Gustina said the 30-second ad is to reduce smoking addiction, where the ad shows the dangers of smoking for health. "Cough info on smokers is not a common cough, a cough on a smoker happens on his body.There is counseling to stop and this ad is only 30 seconds," she said. Not only that, he hopes this public service ad campaign can make smokers who see him quit smoking and people who want to try smoking so discouraged. 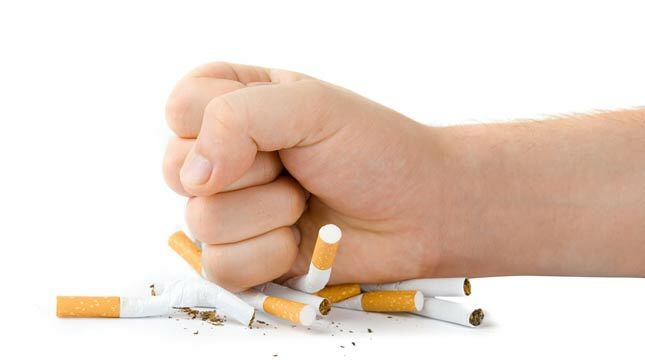 "In the midst of the onslaught of cigarette advertisements is very vigorous, public service ads can provide real information about the negative effects of cigarettes, aside from those described by cigarette advertisements so far," she said.